A three-year Australian study has concluded that despite inpatient rehabilitation for a knee replacement costing more than 20 times above home-based care, there is no difference in clinical outcome. Chief investigator of the study, Justine Naylor, from The Ingham Institute at Liverpool, in southwest Sydney, said the study ­observed no significant differences between the inpatient and home-based groups across a range of outcomes at 10, 26 and 52 weeks after surgery. She said given the costs of inpatient therapy — about $700 a day — and the volume of Australians having knee replacements, the number of patients having rehab in hospital was not sustainable. Knee replacements are one of the top 10 elective surgeries in Australia, with more than 50,000 performed annually. Private paying patients are the main people targeted for inpatient rehab, a move that is said to add to the increasing pressure on insurance premiums. “If we can identify care that is, and is not, good value, we can help reduce pressure on private health insurance premiums and the ­public system at the same time,” Associate Professor Naylor said. Dwayne Crombie, head of Australian health insurance at Bupa, said the insurer spent $165 million on rehab last year, which he said was driven largely by hospitals that provided the services at “enormous” profits margins. Dr Crombie said the cost to Bupa of a two-week stay in rehab following a knee replacement was more than $9000. “We know that many hospitals pressure patients into having a lengthy stay in rehab,” he said. “One of our customers complained to us that the hospital they were in was trying to have them change their health insurance ­policy so the hospital would be able to claim for inpatient rehab. Associate Professor Naylor added that the study, performed in southwest Sydney and to be released today in the Journal of the American Medical Association, did not conclude that inpatient rehabilitation did not have a role. 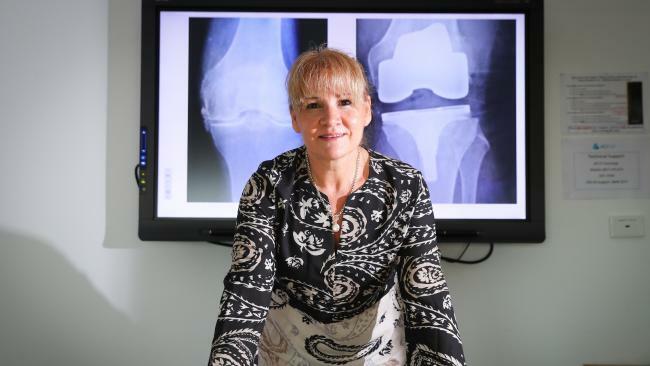 “We believe it remains an ­appropriate option for those who are most impaired pre-surgery, without adequate social support and those who may experience a significant complication after ­surgery that slows them down,” she said. Nib chief executive Mark Fitzgibbon said the insurer did not ­believe in customers being treated in hospital where there was no ­evidence of a clinical benefit of hospitalisation over home-based or community-based care. Mr Fitzgibbon said the study’s findings demonstrated the need for increased transparency around cost and medical efficacy to help consumers make more ­informed choices about their healthcare. Cindy Shay, chief benefits ­officer of HCF, which funded the study, said the insurer was encouraged by the findings as it provided an alternative option to hospital rehabilitation, while delivering the same outcome at a fraction of the cost. Medibank’s group executive, healthcare and strategy, Andrew Wilson, added that the insurer’s customers preferred rehab in the home. “Medibank recognises that home-based rehabilitation can be just as effective as inpatient rehab, which is why we have started ­offering this to our customers where clinically appropriate,” he said.